Area of Research: Migration, transnationalism, and ethnic studies. Hsu is currently working on Migration in the Shadow of Empires: Ideological Constructions of Taiwanese Chinese Mobility and Ethnic Transformation, 1943-2004. Monograph exploring the Cold War intersections between American and Chinese foreign policy goals to migration policies and ethnic representations of Taiwanese Chinese in the United States. 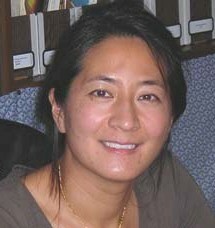 Hsu is also the author of numerous journal articles and book chapters including: “From Chop Suey to Mandarin Cusine: Fine Dining and the Refashioning of Chinese Ethnicity during the Cold War Era,” in Chinese Americans and the Politics of Race and Culture, edited by Sucheng Chan and Madeline Hsu, (Temple University Press, 2008); Trading with the Gold Mountain: Jinshanzhuang and Networks of Kinship and Native Place, 1849-1949,” in Chinese American Transnationalism: The Flow of People, Resources, and Ideas between China and America during the Exclusion Era, edited by Sucheng Chan, (Temple University Press, 2006); “Qiaokan and the Transnational Community of Taishan County, 1882-1943.” “Transnational Dimensions of the Chinese Press, 1850-1949,” a special issue of the China Review edited by Bryna Goodman and Arif Dirlik. 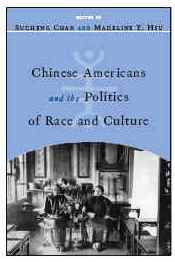 4:1 (Spring 2004): 123-144; and “Unwrapping Orientalist Constraints: Restoring Homosocial Normativity to Chinese American History.” Amerasia Journal 29:2 (Summer 2003): 231-253, among others. Chan-Sophonpanich Award for outstanding graduating student of color, Pomona College, 1989. Formerly Associate Professor, Asian American Studies, College of Ethnic Studies, San Francisco State University, 1996-2006. Hsu served as a consultant for “The Gold Rush,” Yellow Jersey Films, 2004, “Bill Moyers Presents: Becoming American – The Chinese Experience.” PBS, aired 2003, and “In America: The Chinese Story.” International Channel, 2001. Aired August 2001. Like many other historians, my intellectual projects emerge from the ebb and flow of my daily life. My childhood was spent shuttling between my maternal grandparents’ home in the one-road town of Altheimer, Arkansas and the various Chinese cities where my father found employment-including Hsinchu and Tainan in Taiwan and two different stints in Hong Kong. I grew up intensely aware of American racial dynamics that located Chinese between white and black (and by the 1970s, literally at the outskirts of the white side of the tracks) but also of the protection and privilege attached to being American in developing nations and economies overseas. Living among fellow ethnic Chinese desperate for an opportunity to migrate to the fabled Gold Mountain of the United States, my family was anomalous in having returned from more prosperous shores. Unlike most other American-born Chinese-who spend their formative years primarily in the United States-my main points of reference are of the multi-directional movements and fluid processes of adaptation that are possible for mobile agents with the languages and skills to function successfully in different societies. In contrast to beleaguered immigrants who arrive and are expected to disappear into America’s famous melting pot, such transnational migrants–a useful scholarly concept that I encountered in the 1990s and applied to my life in hindsight-do not blend in or remain in one place. In graduate school, when I first decided to study back-and forth mobility like that of my family, I did not realize that I was entering an intellectually and institutionally liminal space. The field of history has been defined in great part by geographically bounded countries and regions and the peoples, cultures, and hierarchies attached to them. Many histories serve to articulate and legitimate the structures of power–and inequality-within certain societies and places. My intellectual interests intersect but do not overlap with these more conventional histories in significant ways, particularly because migrants are often perceived as dire threats or disappear altogether from narratives intended to define national borders and the people who belong within. As a historian studying Chinese migrants who are constantly on the move, rather than sinking roots and becoming loyal citizens, I felt like something of an academic platypus–not really a modern Chinese mammal nor a twentieth-century North American duck. As my dissertation neared completion, it also was not clear for what jobs I could convincingly apply. Since the mid 1990s, the rise of Asian American Studies under the umbrella of Ethnic Studies has provided more of an institutional home within the academy for projects such as mine. Even so, Asian American Studies remains largely preoccupied with claiming America for Asians, who for much of their history in the United States have been legally restricted from entry and citizenship by naturalization. My colleagues in Asian American Studies have produced paradigmatic, award-winning scholarship that situates the relatively tiny population of Asians at the center of national frameworks because they played such key ideological roles in framing the racial boundaries of belonging in the United States. My projects run counter to such agendas by exploring the daily realities of migrants whose messy lives regularly transgress borders in accruing ongoing relationships and ties to multiple locations. They do not fit tidily into national narratives which demand that people identify clearly with one place and with one state. Despite the unease that such nonassimilation arouses, migrants pursue chiefly economic–rather than political goals–in seeking better lives particularly for their children when not attainable for themselves. In impoverished regions, dissatisfaction with limited choices can nurture strikingly aspirational mindsets that separate families and impel bodies through space in pursuit of distant, and sometimes imaginary, opportunities. Migrants are often seen as problems-as a kind of invasion, threats to national security, or an indigestible biomass infecting American society-but are deeply human in their highly pragmatic and often quixotic quests for greater prosperity and stability. Their contrasting priorities and lack of settlement set migrants at odds with nation-states, as demonstrated so vividly in the heated and seemingly irreconcilable debates concerning illegal immigration here. I actually Believe blog, “070: Madeline Y. Hsu, 40 | History Editor.